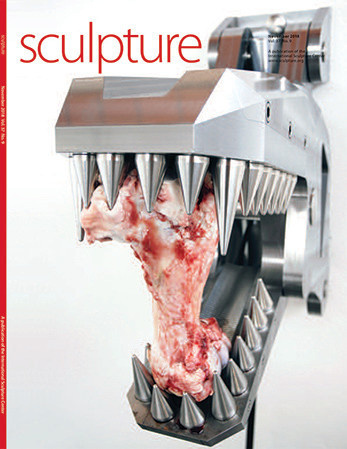 Sculpture magazine: New subscriptions just $40! Arcangelo Sassolino, Figurante, 2010. Steel, bone, and hydraulic system, dimensions variable. Photo: Federico Perezzani and Fausto Caliari, courtesy the artist and Galleria Continua. "I have learned through animals and insects that there is another kind of time: the time of nature, the seasons, the weather," says Fernando Ortega in a conversation in these pages. His remark reminds me that three-dimensional art always has a unique relationship to time, particularly the work covered in this month's issue. Janet Cardiff and George Bures Miller's walking performances, the contemporary political references in Pedro Reyes's take on classical statuary, and Arcangelo Sassolino's kinetic sculptures all occupy different temporal wavelengths. Ortega adds that he's "always fighting the hurry of the art world." As are we, which is why we are aiming, in our updated incarnation, to bring you the best long-form writing on art, the juiciest, time-stretching reads. 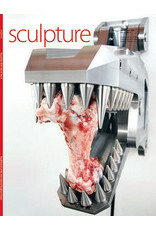 Also, in the print and digital version of November's Sculpture - Itinerary, Commissions and ISC News.